The Creative and Practical Arts key learning area includes dance, drama, visual arts and music. Learning in these art forms provide opportunities for students to develop their abilities to make works and appraise their own works and the works of others. In Dance, students learn to perform, compose and appreciate a range of dances. They develop skills that use the dancing body and the elements of dance. Children learn to make, perform and appreciate drama. Drama is often integrated across other key learning areas. The results of which are regularly performed at class assemblies. St. Peter's presents a major performance every two years and each year all classes perform an item at the end of year presentation night. 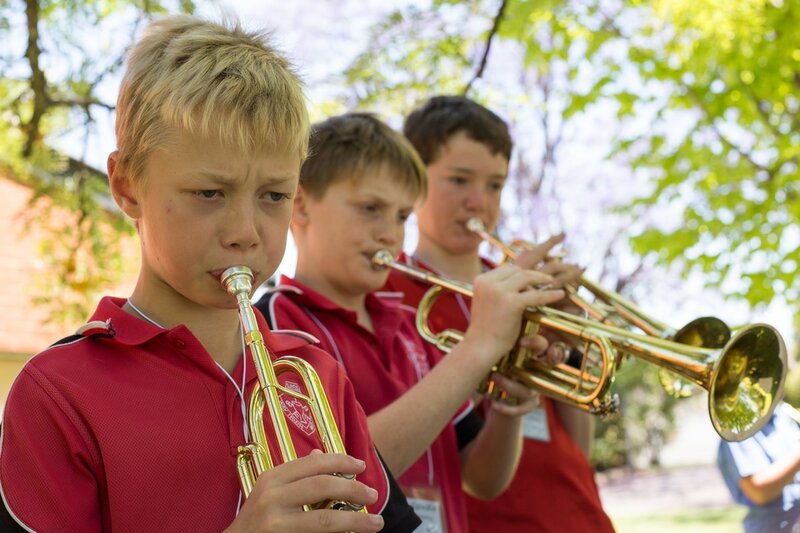 In Music, students develop an understanding of performing, organising sound and listening. Since 2016 all students from Yr 3-6 have had the opportunity to learn an instrument through the Band Program with professional tutors. For one term in 2016 and 2017 students from Yr 3-6 have participated in the Australian Arts Alive (a3) program where they learn to sing and move to a variety of songs with professional tutors. A cross school concert in Jerilderie is held at the end of the term to showcase the student's abilities. Children learn to make artworks in regular visual arts lessons as well as develop an appreciation of artworks created by others.